On Sunday, December 5, Oakland North reporters Laura Hautala and Ye Tian sat down with mayor-elect Jean Quan at World Ground Café in the Laurel district. We asked Quan about her transition into the city’s executive office, and what she’ll do at the start of her term. What follows is a condensed transcript of the interview. Oakland North: It’s been over a month since the election and a few weeks since you’ve known you won. How do you feel now that it’s been a little time going into office with a tight margin of victory? Jean Quan: We knew this was going to be a tight race. I’m someone who had not run citywide before. We expected to be outspent, although not quite as greatly as—I thought I’d be outspent maybe two or three times—I probably was outspent six or seven times. Probably over $2 million was spent in this race, and we’re very close to the campaign limits of about $400,000. So we knew it was going to be a tough race, I’ve been telling people for months that we’d probably win by one or two percent, and that we would win or lose by five votes per precinct. So that’s not a surprise. What is also true, though, is that as opposed to the person who got the most first place votes. He was at 33 percent and I was at 25 percent, and that’s not a huge difference. So I mean that whoever won wouldn’t have had the “mandate” on the first round. But the way ranked choice — and I think what the media doesn’t understand is that ranked choice allows an instant runoff. I’d always been confident —even if it had been the traditional race, if it had been a head-on race with Mr. Perata — that I would have won, as there were several polls, one done by the Labor Council, that showed I would have won actually by a larger margin in a head-on race. So given that it was a one or two point race, will that affect how you go into your first year of your term? Will that affect how you are governing as mayor? You know, I’ve been the underdog in every race I’ve ever run. Even when I ran for school board, I was the first Democrat that won at that. When I ran for school board 20 years ago, my district had never elected a Democrat much less a woman of color. So I’m used to starting races and terms of office in the situation where the races were close. When you break barriers, that’s often the case. So I think when you’re an elected official quite frankly you have to prove yourself every day. So it makes not a large difference in terms of how you govern. I think you have to build consensus and move people on a day-by-day, issue-by-issue basis. Speaking of building consensus, you chose [Joe Tuman’s campaign manager] Tod Vedock and [Perata supporter] Mike Ghielmetti for your transitional committee. And you mentioned that you expected to see some differences. So what differences do you expect to find from their opinions? What issues might come up? I actually think that they’re pretty representative of their sectors. I don’t think just because they were nominated by people who were my opponents in this race that they’re going to be actually very different from some of the other people that I nominated for the transition committee. You noticed I have the head of the Chamber [of Commerce] and the head of the Labor Council. We picked a lot of opposites. I have a major developer and I have people who are small business people. I have people who represent renters and people who represent property—apartment building owners, not directly as that case, but people because of their income and their businesses, they represent those differences. We noticed that you signed up for a challenge to do all of your holiday shopping locally. But again, we have an international port here in Oakland, so for both local business and larger, international trade issues, what priorities will you set for developing business in Oakland? Well, I think it falls under three categories. First of all, Oakland is underserved in neighborhood retail. And a lot of our leakage is because people can’t buy their basic needs in their neighborhoods. If you’re in this neighborhood, you’re in the Laurel district—if you drive down the street, the Dimond district. When I first became a council member eight years ago, there were a lot more empty store fronts, there was a crime problem, and so I’ve worked very hard with these neighborhoods and even with my more affluent neighborhood up in Montclair to increase their revenues and increase people from within Oakland shopping there. The Dimond, when I was elected, was the fourth worst crime spot in the city. And actually based on that experience, I rewrote the Nuisance Property Ordinance so that if there’s a property in Oakland that basically generates crime on an ongoing basis, we can fine them up to $1,000 a day to try to bring the safety and the feeling of the neighborhood up to where it should be as a livable and a safe neighborhood. So the Dimond now is one of the most thriving areas in Oakland. We have the Farmer Joe’s, an organic grocery store, sort of our answer to the Berkeley Bowl. We have La Farine’s major bakery there. It supplies all of the La Farine’s bakeries in the East Bay. It’s a growing, thriving, diverse neighborhood. And so that’s the first part: bring business to the neighborhoods, strengthen the neighborhoods. The second part is working with our large corporate community. I plan to meet with at least the top dozen corporate leaders in the area. I’m going to invite them to lunch or have a meeting. I want to hear from the directly what we need to do to keep them going here in Oakland, and what we could do to attract businesses that are auxiliary to them. So I just recently spoke at the Business Times breakfast. They had the CEO and founder of Pandora, and he talked about how Oakland was the place they chose because it was at the center, transportation-wise, for the workforce he needed for his business. That the East Bay particularly is the thriving cultural location, and it has the diversity of talents and people that he needs. I know that that’s one of the reasons that people come to Oakland, so what can I do to make that an even more attractive reason to come to Oakland? Lastly, there is international trade as you talked about. When I decided to run for mayor, we put out a press release that night. In the morning when I woke up, I got an email from my uncle who said, “Gee, I see you’re running for mayor of Oakland.” And I had forgotten that because I will be the first Asian American mayor of a major American city, that this was big news in Asia. And this was even before I got anywhere near being elected, that the mayor of Oakland can be an international figure. Particularly as being a Chinese American. The day I won, I understand that your news service did an article on how I was on a lot of blogs in China, and I got emails from friends of mine who’ve gone to China as lawyers and business people, and said, “Hey, congratulations!” And these are people I hadn’t seen for decades, who I went to Cal with or who I had done other community activities with. So I think that I hope to my first appointment to the port being someone who actually knows about China and international trade. I’m very cognizant of the fact that we are one of the gateways to Asia. And more importantly, we’re one of the few ports that exports as much as we import. And so I plan to work very closely with chambers of commerces and industries in the valley, if we’re going to be the major exporter of California goods. When I go to China now I often bring red wine or chocolates as a gift. Those are the things that they love from California. To Japan I bring avocados if I can get them past customs. Those are the kinds of things that in Asia, as they become affluent, they’re looking to buy from us. Given all the opportunity for business in Oakland, are there specific steps you plan to take, or specific programs you want to develop as mayor to promote jobs in Oakland? 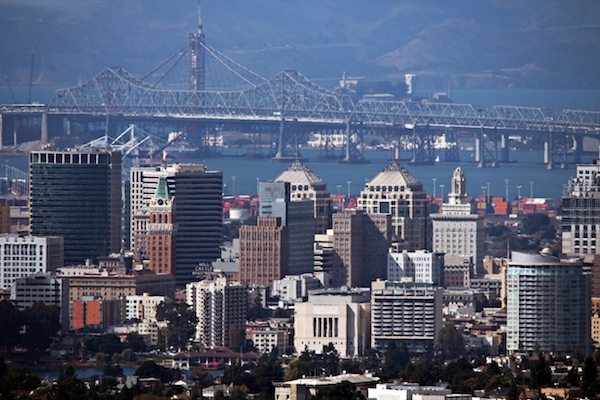 The Association of Bay Area Governments says that Oakland is one of the few cities in the Bay Area that will continue to grow both in jobs in housing. 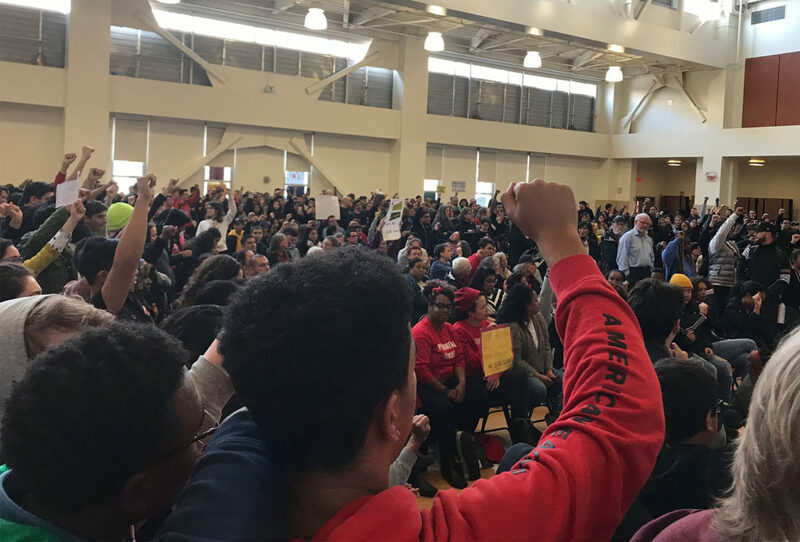 And what I’ve been saying during the campaign is that the question is, will those jobs be for Oaklanders, and will that housing be for Oaklanders? And I’m pretty much dedicated to make sure that on one hand that we have good workforce housing. And that means affordable housing for working class and middle class people. In Oakland, we have a lot of affordable housing, but we also have some very high end housing up here in the hills. Different neighborhoods have become trendier and trendier. And as people have discovered, we have better weather, and better transportation than San Francisco, and a lot of high-income people from around the Bay Area are coming here. And then you’ve got a generation of boomers like myself who are well-educated and quite frankly, you can only go to the mall so many times, and Oakland has a much more diverse restaurant and cultural scene. So I’m seeing friends come in from places like Pleasant Hill and Walnut Creek because this is where they want to age in place. The question of whether or not the jobs will go to Oaklanders is foremost for me. So one of the things I do is work very closely with the schools to reinstitute something that I call an “education cabinet,” to bring together the education institutions and the job training institutions of Oakland to make sure that we’re better aligned, and that young people in this city get an opportunity to get the skills that they need to get the jobs that are going to be here in the next century. Will that group be designing curriculum, or will they be advising schools for how to further prepare their students for those job opportunities? I think all of that, all of that I’m going to want. When I was on the school board, Oakland was known for its school-to-career academies. Our academies at Oakland Tech send more kids to the Ivy Leagues and MIT than any other high school in the East Bay. That’s not well known. But there are a lot of programs, health academies, etcetera, that train—almost custom design—some training for some of the bigger health institutions. I think that’s been weakened in recent years with the state takeover. I plan to strengthen that. I’m a large employer. Over the next five years, and I’ll be mayor at least for four of those five, a lot the Baby Boomers are going to be retiring, and particularly those in my bureaucracy may be retiring—although I have to say, because of what’s happening in the economy, boomers are retiring later and later. I want to make sure that I reach out to the high school students now, get them internships within the city, and sort of grow them for the community college and the Cal State and university system, so they’ll come back and work in Oakland. Probably no other area is more critical than the police department. 85 percent of our police officers don’t live in the city, and they make up 50 percent of my budget, so I want to keep more of that money here at home. I’m going to be particularly looking at how I can grow my own police officers so they have closer ties with the community. And these are some of the best-paid jobs in the city. I mean when you make a list of who makes over $200,000, it’s mostly police. In some of the trades you need to work at least for four years as a journeyperson before you can get your union card. So one of the things I plan to do is really make sure—because there’s so many projects scheduled in Oakland—that the Oakland residents make it through the system, and literally work very closely with the building trades union to make sure that happens. We are a generally very union-friendly city, but we expect the unions and also to be friendly to our residents and our young people. And this is particularly important for, I think, young people who are coming out of the prisons. Back to the housing you mentioned. How do you want to address keeping that housing for working class families available in the housing that grows in Oakland? Well, there was a big policy struggle in ABAG, the Association of Bay Area Governments. As you may know, they set the housing goals for the Bay Area, and because of climate change, and because of the great transportation, it makes sense that the bigger transportation-rich cities like Oakland and San Francisco and San Jose will take a larger part of the growth. What we’re trying to do is keep housing near transportation and not sprawl into our agricultural land and into our green belts, because of global warming … What we said is, “Fine, but on the other hand, we think that all cities need to have low-income housing.” Just because we do more housing, not all the poor people should be concentrated in these three cities. Every city needs to step up and have inclusionary zoning and low-income housing. The city council’s been very clear that we don’t want just low-income housing because of the concentration of poverty. But we want subsidy for what we call workforce housing. The people who are often squeezed out of cities. Is it fair to say that you would advocate a mixed housing region—sort of all ranges of incomes in an area? Absolutely. And to make people who get federal or state or city help, to make sure they include 15 if not 25 percent of housing in this “workforce” category, or low-income category. How do you define the working class family housing? It’s actually federally defined. But you know, workforce housing is generally people who are in that quarter right below the median income. If you don’t plan on hiring new police officers right away, what specific steps will you take to prevent crime within your first year as mayor? Well, that’s not necessarily true. There’s a standing offer to police union—that if they’re willing to pay into their pension the so-called “employee share,” or the 9 percent, that we would bring back all the laid off officers immediately. I quite frankly think that the politics of the race and the promises of the other candidates sort of fooled some of the police officer’s union people into believing that they could continue to be half of the city budget, they could continue to earn pensions that could bring an officer basically $100,000 retirement at age 50 without contributing into their pension. And that’s not the real world. The good news is that Measure BB, which is our violence prevention initiative was continued, and that provides us with a beat officer that the neighborhood can work with. And we have neighborhood councils that work with these officers who are deployed geographically. I give them a lot of credit for the crime rate coming down over the last three years. But I also think that you have to deal with the source of the crime. And that’s why I’m doing this campaign to get 2,000 mentors for the toughest kids who are on probation already, and that means they’ve committed some juvenile crime and they’re coming back out of juvenile hall, and that’s 500 kids a year. A lot of the other kids who get involved in crime are in foster care, and that means that they’re not with their families. And every year, about 300 of them age out. So I’m trying to get mentors for—we’ll probably go back to age 16—probably looking for at least 300 mentors to work with kids who are about to age out of foster care. And lastly, I’m a former school board member. I know that kids who miss 20 days of school are likely to miss a grade. And the more grades they’re held behind, the more likely they are to drop out of school, and the more likely they are to drop out of school, the more likely they’re going to get a in crime. So I want to get mentors for the 1,200 kids who miss 20 days of school to find out what’s happening. How do you plan to organize and fund the program for those 2,000 at-risk young people? Well, there are a lot of actually existing programs, but I think that we can increase the number of people. So I’m going to be meeting with the foundations, because I think we’re going to tax their capability. But there are actually a lot of existing networks. We’re talking with the school district now, we’re talking with probation now, and there’s some existing programs, but I’m not sure if they’re ready for a flood of 2,000 volunteers. But I think we can get it. I’m going to be going to churches, I’m going to be going to corporations, I’m going to be going to political clubs and the Obama network, and I think 2,000 volunteers is pretty doable. What do you think needs to be done in concrete terms to improve the schools? People often accuse me of still thinking like a school board member, so I think about schools all the time. The first thing I hope to do—I’m reaching out the California School Boards Association and some of the old associations I’ve worked with. With the first failure of a major initiative for the schools, albeit by only half a percent, I think we’re going to probably look at what went wrong there and see if we can fashion something that gives the schools help. Because between the debt that the state has left them and the massive budget cuts … Equal funding for schools doesn’t often give you an equal education. Because Oakland has older buildings, the school district has to spend millions on security to keep its kids safe. So out in Pleasanton … they don’t have to spend $8 or $9 million on security. That money can go to all teachers and libraries. So I think that urban schools also need to have a different formula than suburban schools. Mayor-elect Jean Quan speaks with Oakland North.